I’m really drawn to the individualist, market, and existentialist descriptions on this fantastic chart I found. Evolving from a starting point of classical liberal — basically I intellectually inherited minarchy as a default of Rand’s Objectivism, and hadn’t questioned it much until more recently. 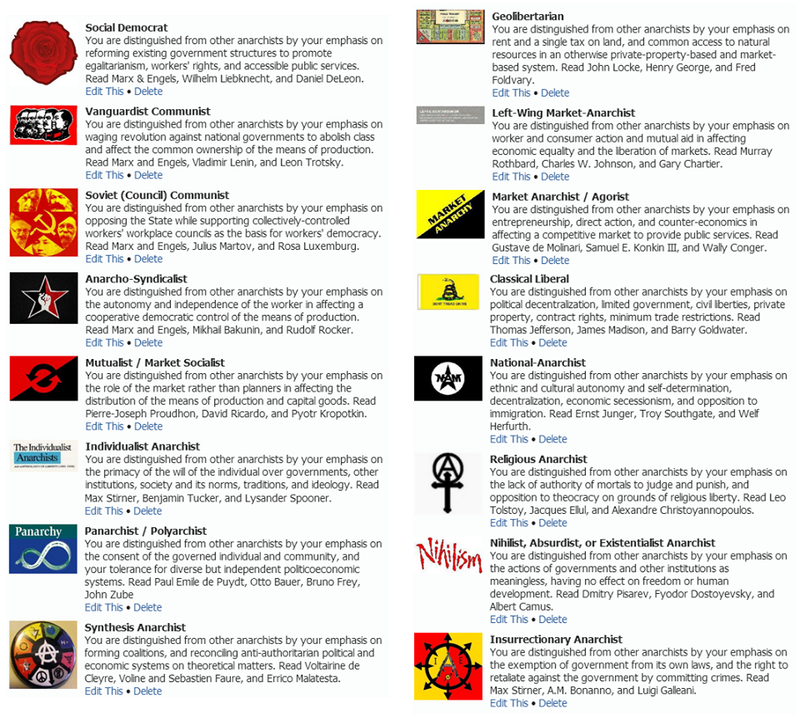 the fun of annoying anarchists.